Join in on the Halloween fun by submitting photos of your favorite costume along with your name, email address, and a description of the costume you created to enter the 2018 Halloween Costume Contest. 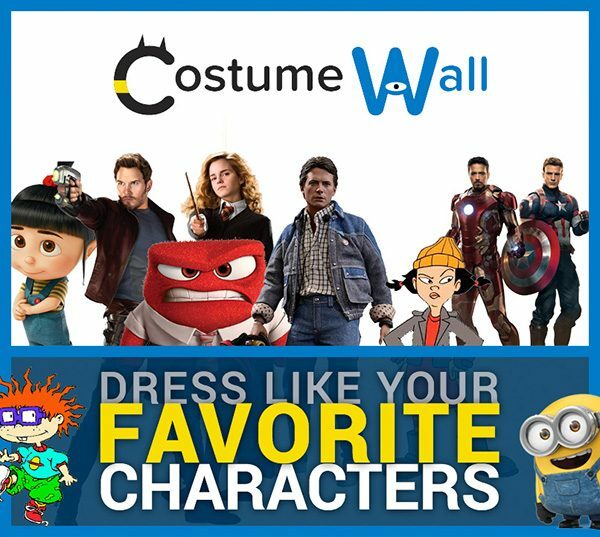 Submit your own costume to share with the hundreds of thousands of people visiting Costume Wall this Halloween 2018 for a chance to win over $2000 in prizes! The best of the best. The overall winners of the 2018 Halloween Costume Contest. These are the costumes that everyone will be talking about. All winning entries must show an extra dose of creativity, originality, and attention to detail. Go down into Costume Wall history with the very best Halloween costume of 2018. Adults are never too old to dress up for Halloween. 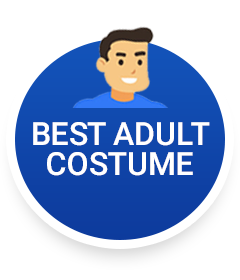 This category is the top costumes worn by adults that are 18-years-old or older. To be considered for the top adult costume, you must add an extra level of detail to stand out from the other costume entries. Everything is fair game as long as your submission is family-friendly. Kids’ creativity and imagination run wild; their Halloween costumes shouldn’t be any different. 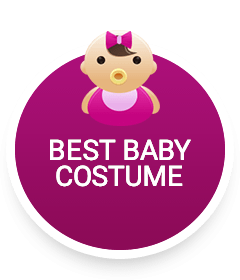 This category includes the best costume entries for babies, children, and teenagers—ages up to 17-years-old. 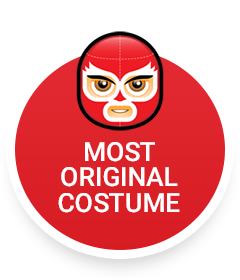 Whether dressing up for make-believe or to go out trick-or-treating, enter your one of a kind costume (with your parent’s permission) for a chance to win this category. 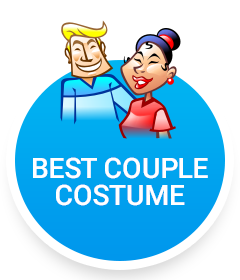 Joining forces with your significant other, sibling, friend, or co-worker by dressing up in complementary costumes this Halloween to enter to win this year’s couples category. You’ll have to be a truly dynamic duo to set yourselves apart from the other couples who enter. Submit both you and your partner’s coordinating looks to win! 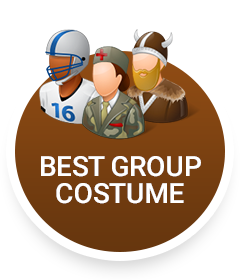 Gather your friends or family to create the perfect group Halloween costumes. Assemble your group of three or more people made up of all ages to pull off the top group Halloween costume of 2018. Showcase your squad’s coordinated look to win by going the extra mile with matching costumes. The pets costume category is bound to steal the spotlight by being the cutest of all entries. Dress up your dogs, cats, and other adorable creatures in a costume this Halloween for your chance to win! 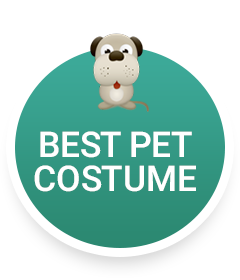 Any pet can be entered and the more creative the costume, the better! Get your pets in on the fun by entering their cute Halloween costumes. Do you have an idea for an insanely clever Halloween costume? You may have a shot to win the most original costume category. You may go as a funny pun, a hilarious meme, or even dress up in a totally unique DIY costume. Whatever your costume may be, it must set itself apart from the rest. We want to see what you come up with to make your costume stand out from the rest! Enter your most horrifying costumes into the 2018 Halloween Costume Contest. Put a frightening spin on a ghost, zombie, monster, demon, or something even scarier. Frightening costumes have always been a go-to option for Halloween. 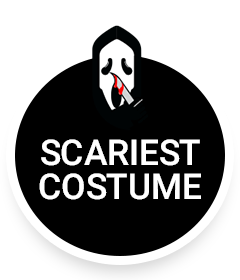 But, here’s a chance to put a unique and terrifying spin on your very own costume for a chance to win the scariest costume of all. 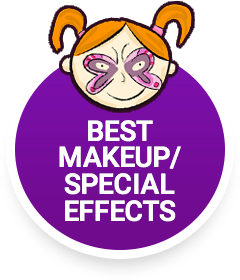 This all-new category for 2018 was created after seeing some incredible makeup and special effects work that complemented last year’s entries. 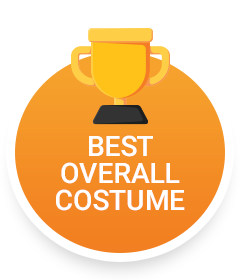 Improve your chances of winning this inaugural award by paying particularly close attention to your costume’s makeup or possibly add in a mind-bending special effect to set your costume apart from all the entries. Entries will be accepted through November 11, 2018. Because there are many submissions, it might take 24-48 hours before you see your costume posted. Prize money will be delivered by PayPal after the winners are announced. 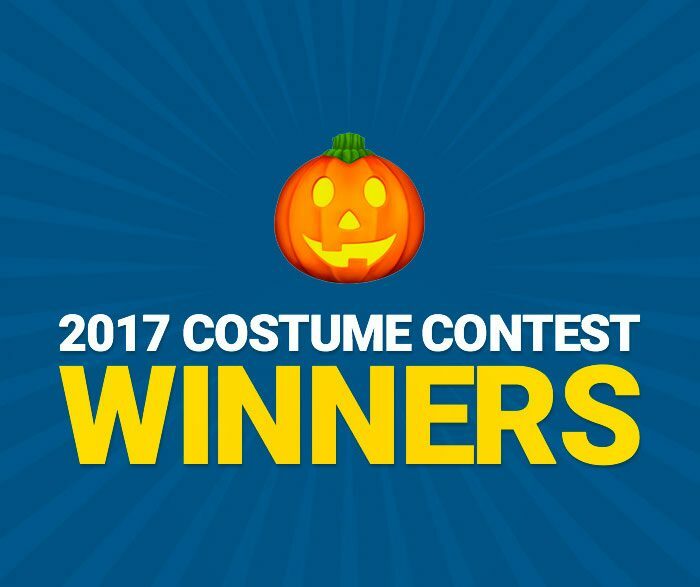 In addition, the 2018 winners will also be posted on Costume Wall following the completion of the 2018 Halloween Costume Contest. Submit up to 5 good-quality photos that are at least 600px wide. Please submit original photos only. Costume photos with any type of watermarks including copyright signs, website addresses, or logos will not be posted or entered. Write a creative costume description that provides as much information about your costume as possible. You can include the source of your costume inspiration, how did you make your costume, what materials did you use, and approximate cost. If you’re submitting photos of different costumes, please create separate costume entries. Exceptions to this are entries that are submitted into the group and couple’s categories. We will only use your email to let you know who the winners are. Your email address will not be displayed on Costume Wall.